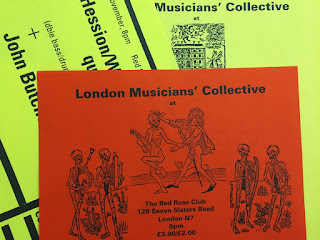 The London Musicians’ Collective (LMC) was founded in the mid-1970’s by a small group of experimental and improvising musicians in London, United Kingdom. In tune with the nature of improvisation and the cultural politics of the time, the organisation was based on collective principles, with an open membership whose responsibility it was to decide policy and initiate activities through attendance at monthly meetings. Over the next three decades it evolved as an open membership collective attracting successive generations of musicians, improvisers, sound poets, sound artists, instrument builders and performance artists interested in pursuing their practice outside the commercial criteria of the music business.